Venice, a city everyone has an image of in their head. Yet, experiencing this one of a kind city will leave you speechless. The beauty of Venice is like you’ve never seen before! 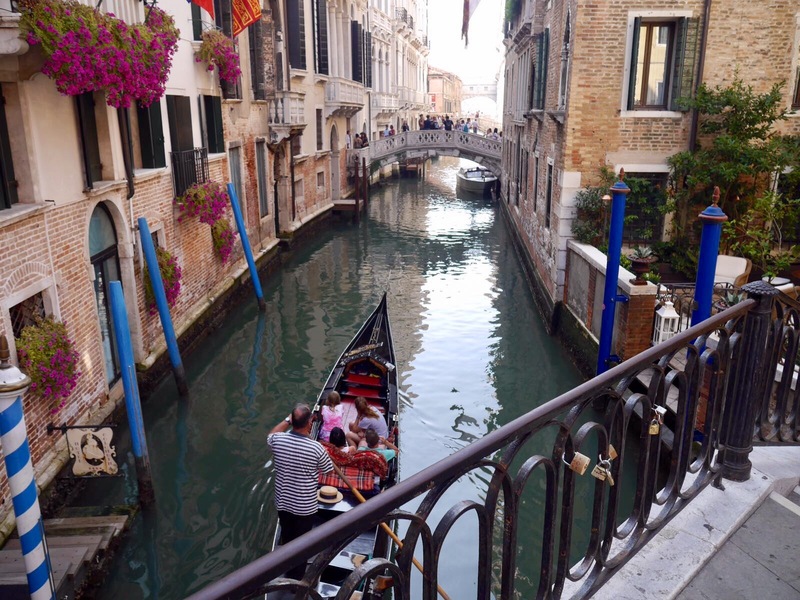 While Paris is known as the city of love, I would like to nominate Venice. I can’t think of a more romantic place on earth than this magical, Italian city. A city without any cars, where idyllic bridges cross numerous canals and all combined with the great Italian lifestyle. La bella vita. It’s not just the greatest city to visit with your loved one, it’s a city you actually fall in love with! A city without cars? Anno 2017? In Venice it’s possible; since there are simply no roads. 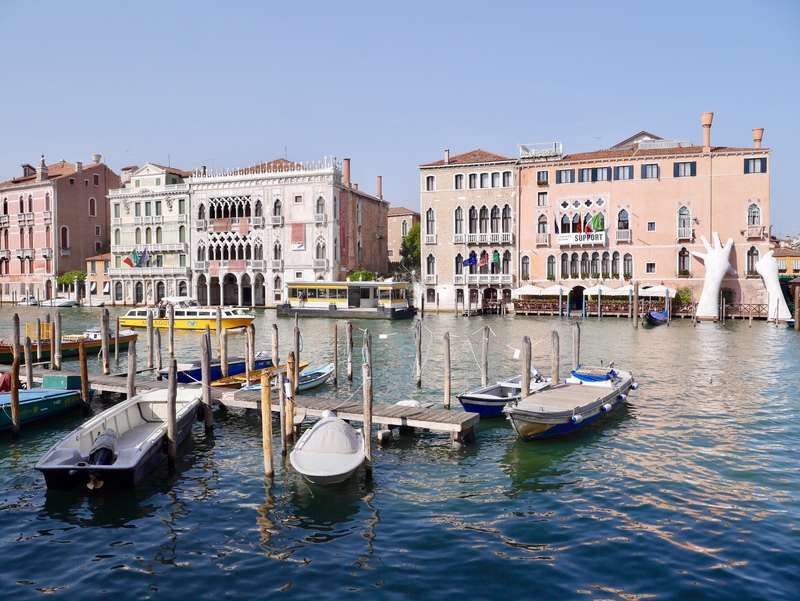 Venice, also called the floating city, is built on a group of islands formed by 177 canals. 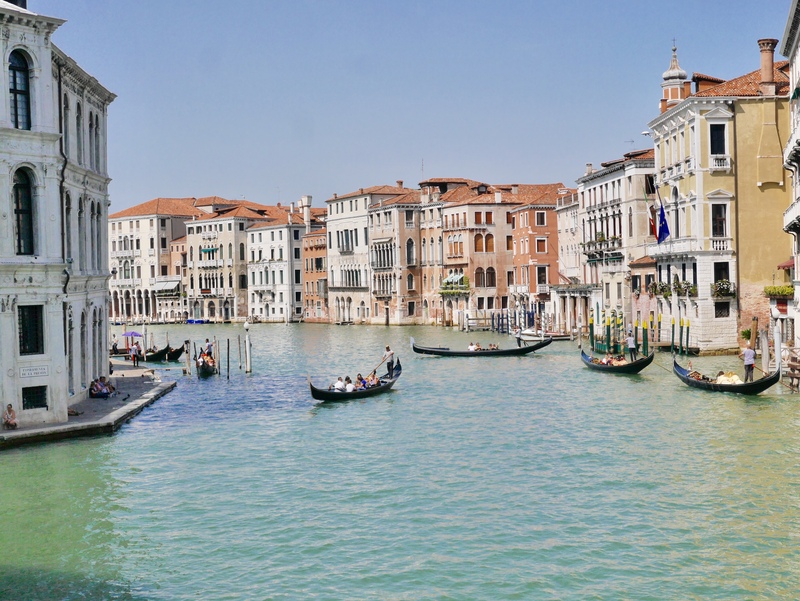 The main canal (and by far the biggest) is the Canal Grande. The most famous, most beautiful and the oldest bridge crossing this canal is the Ponte di Rialto. Besides the impressive architecture, this bridge is also unique in another aspect: it has three walkways. Two walkways on the outer sides and one central walkway where you can access small shops that sell souvenirs. And of course a definite magnet for tourists! Throughout Venice there are more than 400 bridges, connecting over 100 little islands. Since there are no roads, all transportation goes either by foot or by boot. This includes the supply of shops, hotels and restaurants. Venice brings courier service to a whole other level: young, muscled guys pull a cart over the steps of the bridges, doing this multiple times to reach their destination. Trains, busses or subways are unknown in Venice. The only public transportation that this city is able to offer is boat service. These boots go on a regular schedule and are like busses on the Venetian streets (by which I mean rivers of course;)). Another way of transportation is a boot taxi or gondola. The later is only for tourists and in my opininon a complete rip off! 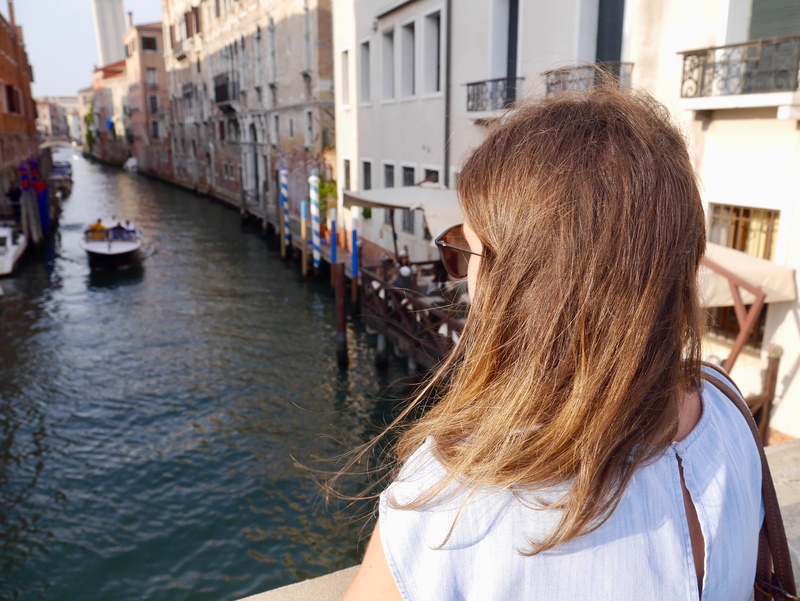 The most simple ride costs €80 and while you expect a very romantic tour through this idyllic city, it basically leads you into one big traffic jam of gondolas. Everything about Venice is just magical, also in terms of achitecture. Since the city -literally- floats, all houses rise from the water, which makes up for an incredible and one of a kind view (it makes you wonder how it is even possible that these houses are not eroded through the years –or is that just me?). Wherever you look, you’ll see the most beautiful, cute and colorful Italian houses. Throughout Venice are loads of little alleys that add even more cuteness to the city. Even though you’re walking in a massive tourist city, the little passages make you feel like you’re walking through a little village. 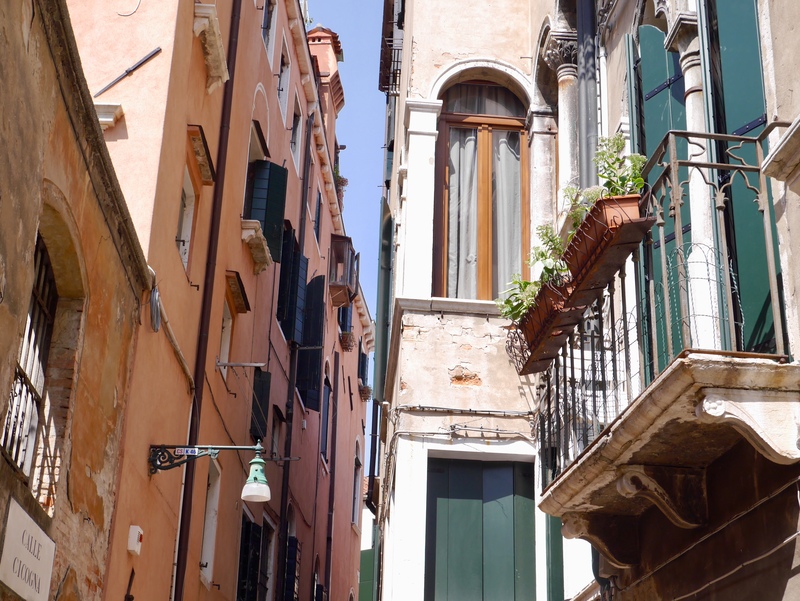 Besides it’s idyllic value, these narrow streets make up for a place to cool down during the hot Venetian summers (we’ll be forever grateful;)). Many people will avoid Venice during the summer because it’s notorious for its massive crowds of tourists. However, I visited the city during August and while there were tourists (yes okay, lots of them) it didn’t take away any of the magic of this one of a kind city. What makes this possible is that the entire city is one big open-air museum and therefore, crowds don’t all center at the same (hot)spots. Another upside of the big tourist industry in Venice is that everyone speaks english (with a very cute Italian accent;)). What’s special about Venice (and many other Italian cities) is that it doesn’t lose the authenthic, idyllic, Italian feeling. 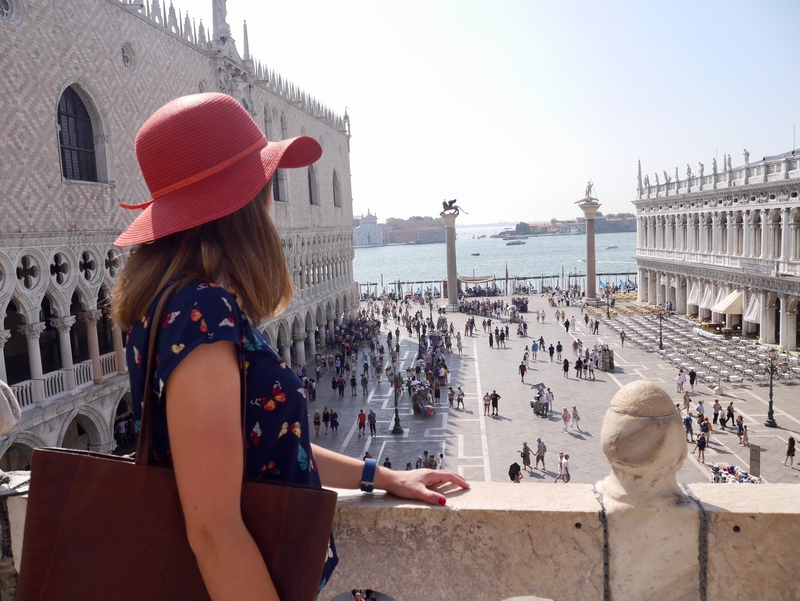 Whether this is due to the stunning architecture, being surrounded by rich history or the feeling of a never-ending summer: I don’t know, all I know is explore this city and you’ll fall in love with Venice! Thank you Leon! Venice is just breathtaking! I will definitely let you know, stay tuned!